OneWorld’s experienced behavioral health and social assistance team works alongside our medical clinicians to help patients manage depression, family concerns, anxiety, trauma, risky behaviors, chronic diseases, child and adolescent well-being, ADHD, substance use and abuse, family violence and more complex conditions. 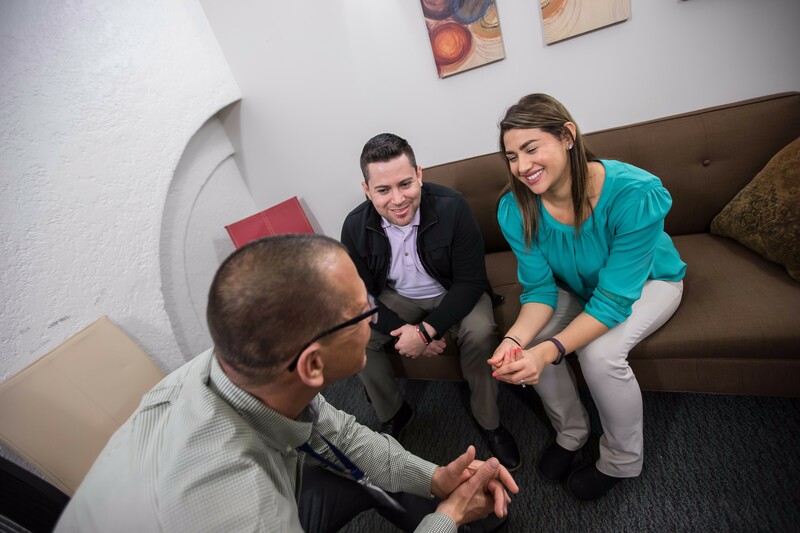 Psychiatrists consult with our medical and behavioral health clinicians to ensure that our patients receive the best care through effective assessment and evaluation, diagnosis, medication management and therapeutic services. OneWorld offers counseling in English and Spanish, and counseling in other languages is available using interpreter services. Social Assistance Workers are available to help patients access resources, address urgent financial issues and work through housing problems, violence, sexual assault and other issues with the goal of promoting self-efficacy in all areas of life that impact health and well-being. OneWorld is proud to offer Medication-Assisted Treatment (MAT) for people who are struggling with substance use disorders. MAT combines behavioral health therapy and medications like Buprenorphine/Suboxone and others to treat substance use disorders. We provide a holistic, individually tailored program designed to address each patient’s individual needs. We primarily use MAT to treat people who are addicted to opioids like heroin and prescription pain relievers, but we can also use it to treat people who have alcohol use disorders and smoking addictions. The prescribed medications act to block the euphoric effects of alcohol and opioids, relieve cravings and normalize body functions without the negative effects that accompany the abused drug. We prescribe FDA-approved medications (Buprenorphine/Suboxone and others) based on each patient’s individual needs. Why is behavioral health part of MAT? Research shows that combining medication and behavioral health services can successfully treat substance use disorders and help sustain recovery. Different patients may need different types of behavioral health services. What is the ultimate goal of MAT? We want each patient using MAT to make a full recovery and to live an empowered, self-directed life. To make an appointment to discuss MAT, please call (402) 734-4110. Before using MAT, tell your provider if you are currently taking anxiety medications including derivatives of Benzodiazepine, such as Xanax or valium. Combining these medications with the medications used in MAT can be fatal. For more information about MAT, visit www.samhsa.gov/medication-assisted-treatment. Dr. Gonzalez-Kruger began working at OneWorld in January 2011 after spending 13 years as an Assistant Professor at the University of Nebraska-Lincoln. There, she educated students in the Department of Human Resources, in the Marriage and Family Therapy program and in the College of Education and Human Sciences. 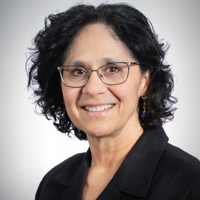 Dr. Gonzalez-Kruger attended Michigan State University, and she holds a Master of Arts in Family and Child Ecology, a Master of Arts in Marriage and Family Therapy and a Doctor of Philosophy in Family and Child Ecology with specialization in marriage and family therapy. She has 27 years of experience in the Behavioral Health field, and her career has included work for community agencies, elementary schools, a private practice and a university clinic. When she’s not working, Dr. Gonzalez-Kruger enjoys spending time with her husband and her dog, being a long-distance grandmother, spending time with friends and biking. Michael Pellecchia, LICSW, attended Temple University, and he holds a Bachelor and a Master of Social Work. Prior to starting his position at OneWorld in November 2018, he held leadership positions at many clinics and organizations in Philadelphia, Wyoming, California, and Minnesota (Minneapolis and rural areas). Throughout Pellecchia’s 30 years of experience in the fields of social work and behavioral health, he has worked with a wide range of populations, including veterans, people within the LGBTQIA+ community and people in correctional facilities. 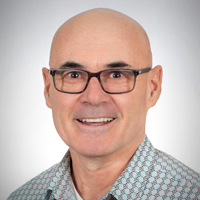 He has helped patients across the country with everything from HIV/AIDS diagnoses and inpatient/outpatient addiction treatments to mental illnesses, trauma and traumatic brain injuries. He is certified in Eye Movement Desensitization and Reprocessing (EMDR) and Rational Emotive Behavior Therapy (REBT). When he’s not working, Pellecchia enjoys spending time with his husband, his two dogs and his friends. His favorite pastimes include eating out, attending theatre productions and symphony concerts, watching movies and being physically active. He is also working on increasing his Spanish proficiency. Help those in our community who need you most! OneWorld is always looking for bilingual English/Spanish LIMHPs, LMHPs, LICSWs, PLMHPs or LSCSWs to provide high-quality, patient-centered care addressing the mental, physical, social, emotional and relational needs of underserved individuals and families in a cross-cultural primary care setting.